The event orgnisers of the 2015 MR2 Track Day Challenge has invited a special motorsports guest from Japan. Kazumasa Yakushi is a famous MR2 drifter will be attending the track day event that is held on 12th ~ 13th January 2015 at the Wakefield Park Raceway. 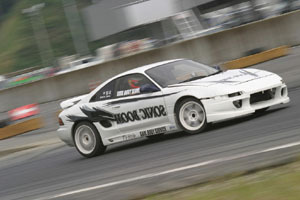 Here is a video of Sonic Boom MR2 in drifiting action: Sonic Boom MR2 Drifting.